It has been confirmed that uniformed Cadet Force Adult Volunteers with at least five years' service as at February 2012 will be eligible for the commemorative medal being awarded to service personnel in celebration of Her Majesty The Queen's Diamond Jubilee in 2012. If you are interested in joining the ACF as an adult volunteer, please complete our simple online enquiry form. 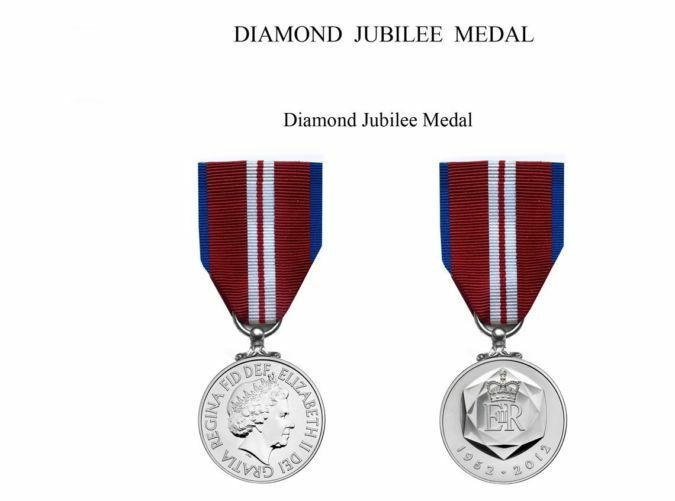 The medal is to be designated and styled ‘The Queen’s Diamond Jubilee Medal’, is circular in form, made of nickel-silver and does not bear the name of the recipient. It is suspended from a ribbon, one and a quarter inches in width, consisting of a red ribbon having borders of blue and a central white strip upon which is a central thin red stripe. There will be no nationality or sovereignty bars to the award of this medal. 1. Basic Criteria. A total of 5 training years effective volunteer service, i.e. from 1 April to 31 March (not necessarily continuous); additionally any qualifying Regular, Reserve or other Cadet service can count in accordance with Para 8 below. Any service must have started on or before 7 Feb 07 and service with cadets before 31 Aug 2011. Personnel must be in effective service on 6 Feb 12 and the training year 2011/12 must be one of the qualifying years to count. Those who have attended for 40 accredited parade nights in a qualifying year. 3. Those nominated must have the endorsement of their cadet unit commander. Full details will be issued down the chain of command. A miniature dress version of the medal is available now from Cadet Kit Shop for £4.20 each, with discounts available for orders of more than 10.